So what does all the best, all the time mean to us? It means that we are not only the best versions of ourselves but that we provide the absolute best for our patients. Our team has been carefully selected and trained to represent our brand. We hire, train, and work together with our core values at heart. We’re passionate about changing the way people feel about going to the dentist by providing a positive, transparent, and convenient experience. We don’t double book our operatories, and we schedule plenty of time to ensure providers and patients have time to connect genuinely. Team members have periodic one-on-ones with their managers where they celebrate accomplishments and honestly set goals to improve in any areas that need improvement. We embrace collaboration and out-of-the-box thinking. If you’re career-focused and looking fulfilling position with potential for growth, Central Park West Dentistry might be the right practice for you. If you can’t make a long-term commitment to our team, it probably isn’t. We strive to have long-term team members that can contribute to the incredible growth of our practice, dedicate themselves to our patients, and want to make a difference. ABOVE & BEYOND People who go above and beyond for patients and fellow team members. They are driven, and never give up, putting their best foot forward every they come to work. Dreaming big-then making it happen, and always delivering more than what’s expected. They focus on what’s best for the team, and eliminate personal agendas. CELEBRATE Those who celebrate find joy in their work, and in their coworkers. They thank and praise others for a job well done. They contribute to a positive environment, and uplift others in times of frustration and challenge. They believe in the value of what they do, and celebrate all victories, both big and small. ACCOUNTABLE A person who is accountable is reliable, honest, and keeps his or her promises. They use good judgment when making decisions. They take pride in their work, taking the win when they succeed, and learning from mistakes when they happen. Accountable people are open and receptive to constructive feedback, are slow to criticize others, and would never throw another team member under the bus. Accountable people are humbly confident, good listeners, and feel passionate about delivering excellent work and reaching goals. GROW People who are passionate about growth believe that big things are possible. They are not satisfied with the status quo. They are excited about education, and are always looking for ways to improve themselves personally and professionally. People who grow believe we are in a constant state of progress; they take chances and continue to set the bar higher. They are not resistant to change or new ideas because they find excitement in a challenge, and fulfillment in becoming stronger, wiser, and more efficient. ENRICH OTHERS’ LIVES Each team member must connect to a greater sense of purpose in the work that they do. Enriching the lives of the people we interact with each day is at the foundation of our business, and those who are successful in our organization find ways to practice this model of service on a regular basis. Those who are committed to a spirit of enrichment are happy for the success of their coworkers, are good communicators, and treat others with kindness and respect. They listen well, and serve with a caring, compassionate heart. What I love most about working at CPW is the diversity of people and personalities, all with the same patient-oriented goal in mind. We all want to make sure our patients receive the best possible dental care and are all so ready to help one another achieve this goal. 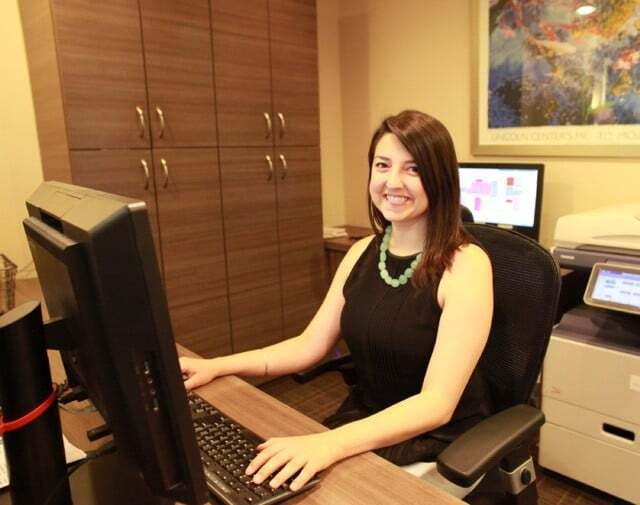 I love working at CPW Dentistry because everyone here is so passionate about what they do. When you work alongside other hard working people, eight hours a day doesn’t seem that long. I like getting to work with different doctors as well working with a large group of team members. At my previous offices I was the only assistant, so at times it could be a little lonely and very stressful. At CPW there is always someone available to help if you need it. I appreciate all the opportunities for growth and I also think the doctors are amazing at what they do. Because we always work through the lens of taking care of our patients first, we are given a lot of autonomy to try new ideas and systems that you wouldn’t see in a traditional dental practice. It keeps team members engaged because we are always challenging ourselves. I love that everyone works together to achieve the same goal – provide the best treatment and experience for our patients. I’m thrilled to be working with the best in the industry. My colleagues are very talented and excited about what we do as a team. There is a constant energy to improve patient experience and provide each other with support to keep the momentum going. Whether it’s a smile, a kind reminder, or a joke, my colleagues are what I like the most about working at CPW Dentistry. I love CPW for its philosophy. We’re a practice of mindful dentistry with a focus on customer service. It fully encompasses all of my personal values! I feel that I’m working in a supportive environment where I can provide my patients with the level of quality care that I want. Everyone always says it’s like working with family, and although it’s cliché, its actually true. I’ve met some of my very best friends here…I think what makes it the most different is that we actually care what’s happening in each other’s lives, and that extends into our patients’ lives. We truly care about how your son’s baseball game went, and when we ask, it’s not just small talk – we really want all the updates on how each other’s lives are going. I just celebrated my 7 year anniversary at CPW Dentistry! I’m surrounded by such supportive colleagues who push me to be the best version of myself. I love working at CPW because of the people I work with! It’s not just a job to me. I’ve been working here almost seven years now, and if it weren’t for the close friendships I’ve made here, I couldn’t have possibly grown as much as I have with CPW. For that, I’m always grateful. We're constantly recruiting happy people to grow our team. Check below to see if we're interviewing for your position! Even if we're not currently interviewing, please feel free to apply for future consideration. In our office, the patient is the star, and our doctors create loyal, raving fans by agreeing to live by the following four principles: commit to quality, exceed expectations, make personal emotional connections, and never phone it in. This a perfect fit for someone who wants to work with a great team and make full use of a broad repertoire of skills in an attractive office with a stellar reputation. We are looking for a go-getter with excellent clinical and interpersonal skills, who can connect with and serve patients 1 weekend day per week (either Saturday or Sunday). Experience Required: 2+ years of dental assisting experience is preferred. We hire caring, highly skilled, and motivated Dental Hygienists licensed in the state of NY. Our hygienists are passionate about four roles: prevention, education, periodontal health, and patient relationships. We believe in preventing cavities before they happen; that’s why we recommend fluoride and sealants. We know that a well-informed patient makes healthy decisions; that’s why we use visual aids, discuss the link between oral and systemic health, and speak in a language that patients can understand. When it comes to oral hygiene, we never want to lecture or create a feeling of shame. When patients collaborate on a plan for their homecare, we know they are more likely to stick to it. We measure periodontal health by probing every new patient and our hygienists collaborate with our periodontist to arrest disease, and restore health. Lastly, the most important piece of the puzzle is the relationships we create with our patients! New patients receive a total of 90 minutes with their hygienist and existing patients 60 minutes so that diagnostically, clinically, and emotionally, we are consistently delivering a 5-star experience. We’re looking for people who are compassionate, gentle, possess exceptional interpersonal skills, have a go-get-it attitude, and are committed to growing themselves and the practice. You’ll fit right in if you’re friendly, present yourself professionally, and exude confident positivity. You’ll need flexibility in regards to scheduling because our office is open 7 days a week, including early morning, late evenings, and holidays. Successful applicants must be willing and able to work weekends and holidays. We know the Dental Assistant is the unsung hero of every appointment, making the visit fly by smoothly and easily for both doctor and patient. Our assistants enjoy being busy and multi-tasking. 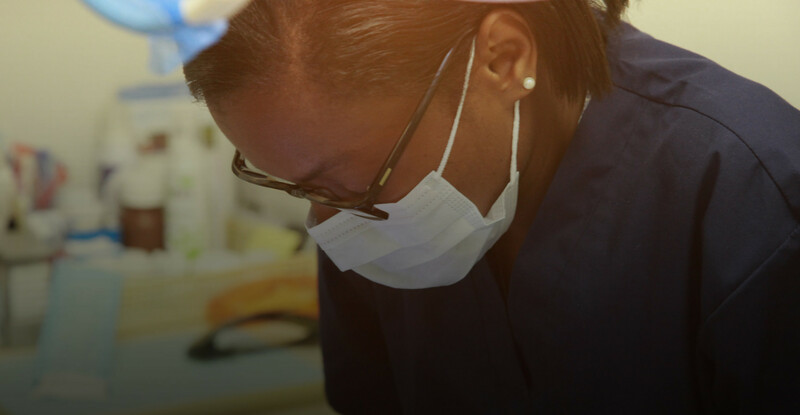 We’ll encourage you to look for opportunities to positively contribute to the production of the practice, and seek out ways to enrich the lives of your patients and co-workers. Dental assistants ensure that our patients comfortable, safe, and happy while making our providers look fantastic. We’re big on teamwork, so we’ll count on you to take care of things that we delegate to you and not be afraid to ask for help when you need it. We’re looking for someone who makes decisions from a place of caring and is committed to growing themselves and the practice. You’ll fit right in if you’re friendly, present yourself professionally, and exude confident positivity. You’ll need flexibility in regards to scheduling because our office is open 7 days a week, including early morning, late evenings, and holidays. Successful applicants must be willing and able to work weekends and holidays. The Front Desk Administrator (Treatment Coordinator) is the face of our practice. As first impressions are lasting impressions, it is important that all patient interactions with administrative team members be energetic and exude positivity. Give a nervous patient a pep-talk and congratulate them for coming in! The Treatment Coordinator is a professional, organized, outgoing, and reliable, team player who plays a vital role in the practice. If you’re awesome and enthusiastic, and you’ll fit right in. You’ll need flexibility in regards to scheduling because our office is open 7 days a week, including early morning, late evenings, and holidays. Successful applicants must be willing and able to work weekends and holidays. Our Call Center Scheduling Coordinators are the first point of contact new patients and existing patients have with our practice. As first impressions are lasting impressions, it is vital that all patient interactions with Scheduling Coordinators be energetic, exude positivity, and thoughtfully represent our practice. Give a nervous patient a pep talk and congratulate them for calling to schedule! Dental experience isn’t required, however similar scheduling experience would be preferred. We’ll train you–just be awesome and enthusiastic, and you’ll fit right in. In addition to some scheduling experience, you’ll need excellent phone and written skills because you’ll spend your days communicating via phone, email, and text message.